Ruekert & Mielke, Inc. 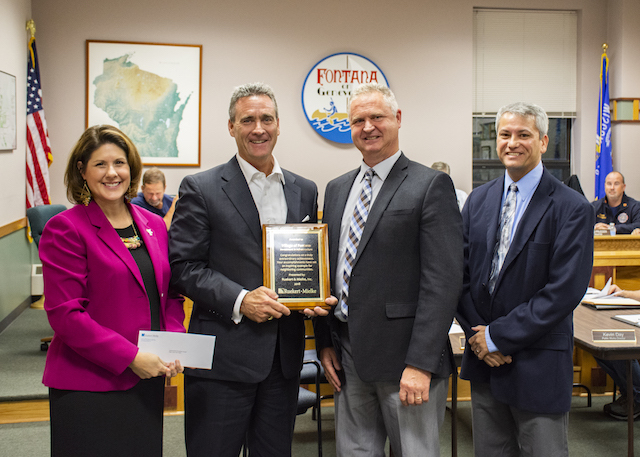 Awards the Village with Investment in Infrastructure Achievement Award and Donation to the Open Arms Free Clinic – Open Arms Free Clinic, Inc.
[Fontana-on-Geneva Lake, WI, October 1, 2018] The Village of Fontana-on-Geneva-Lake received the Investment in Infrastructure Achievement Award presented by Ruekert & Mielke, Inc. at their Village Board meeting on Monday, October 1, 2018. Ruekert & Mielke, Inc., a civil engineering firm serving Wisconsin for over 70 years, presents this award to exceptional communities in recognition for their efforts to better their community and residential life through successful infrastructure projects. “The Village of Fontana-on-Geneva-Lake is an exemplary community when it comes to understanding the importance of proactively investing in infrastructure. Their forward-thinking and continuous efforts to maintain and upgrade their infrastructure help the community reduce long-term costs, while providing better service to their residents,” described Stan Sugden, President of Ruekert & Mielke, Inc. In addition to upgrading several clean water mains, the Village of Fontana-on-Geneva-Lake is also improving water quality in the community by investing in various storm water and wastewater projects. “Protecting the water quality of Geneva Lake is vital to this community. The Village has made significant storm water improvements across several neighborhoods to reduce flooding, improve water quality, and enhance local infiltration,” stated Terry Tavera of Ruekert & Mielke, Inc., who has served as the Village’s Engineer for 14 years. The Village also conducted a sanitary sewer study to identify ways to reduce the amount of clear water infiltrating sewer mains. “This information will help protect water resources and reduce sanitary treatment costs,” explained Tavera. As part of their award, Ruekert & Mielke, Inc. provides a $1,000 donation to a non-profit organization selected by the community. The Village of Fontana-on-Geneva-Lake chose the Open Arms Free Clinic (OAFC), the first and only volunteer-driven medical and supportive care clinic in Walworth County. Since treating its first patient in December 2012, OAFC has served 2,800 low-income patients with primary and specialty medical, dental, vision, behavioral health, lab, and pharmaceutical assistance. “We consider it a privilege to meet our patients’ needs and feel blessed to have the support of the community through gifts of time and funds,” shares Executive Director, Sara Nichols. “It is a give and take of joy, health, and healing for all the patients AND volunteers who are part of our clinic family.” As a result, the clinic continues to grow in the number of patients it serves, while at the same time broadens the services provided to the community. The operational dollars to support the clinic come from grants and private donations. For every dollar donated, they are able to dispense $10 worth of life-saving medication. 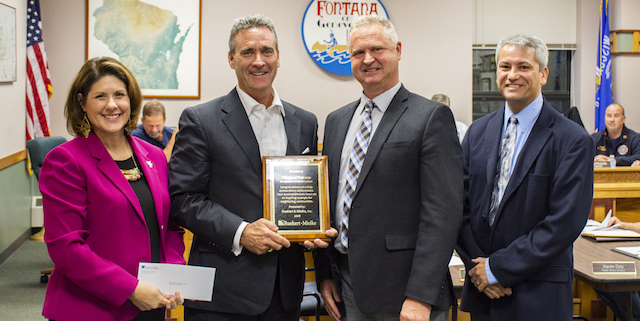 “We are humbly grateful to receive the generous donation from The Village of Fontana-on-Geneva-Lake via Ruekert & Mielke, Inc.’s Investment in Infrastructure Award. With it, Open Arms Free Clinic will be able to provide $10,000 worth of medication to our neighbors in need,” stated Sara Nichols. The Village of Fontana-on-Geneva is a beautiful and serene destination to enjoy a small-town atmosphere with all the benefits of a waterfront destination. Their scenic home sits on the western shore of Geneva Lake in Walworth County, Wisconsin, greeting residents and visitors with boutique shopping, hometown eateries, and outdoor recreation experiences. Their rare combination of lively, local events, community parks, and quality businesses is truly what makes Fontana an ideal place to live and visit. About Ruekert & Mielke, Inc.
Ruekert & Mielke, Inc. partners with communities to provide municipal infrastructure management that encompasses a broad range of municipal services throughout Wisconsin and Illinois. R/M has over 70 years of experience and assists communities in managing water, wastewater, storm water, transportation, municipal finance, electrical, SCADA control systems and construction review. R/M services are centered around technology and feature a cloud-based GIS portal that allows communities to access and manage their infrastructure in a mobile environment. 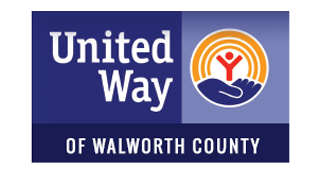 Open Arms Free Clinic (OAFC) is the first and only volunteer-driven medical and supportive care clinic in Walworth County serving low-income and uninsured residents with primary medical, dental, vision, behavioral health, lab, and pharmaceutical assistance. Created in December 2011, and expanded in April 2015, Open Arms is an independent, community-based, not-for-profit 501(c)(3) charitable organization with a mission to better understand and serve with compassion the health and wellness needs of the uninsured, low income, and underserved residents of Walworth County. The clinic derives all its operating income solely from private donations, foundations, grants, and fundraising events. *clinic hours vary with volunteer providers avail.